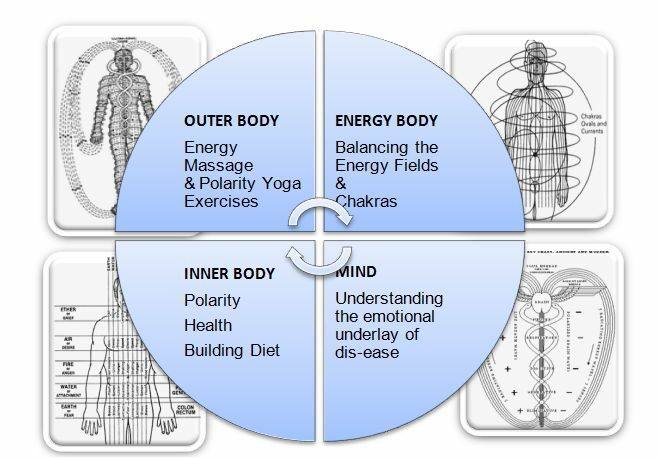 Polarity Therapy is a therapeutic method of returning the physical and energetic body to a state into which energy blocks causing dis-ease and ill health are removed and good health may be restored. It is based upon a combination of Eastern therapies such as Ayurvedic and Taoist traditions as well as Western therapies such as Chiropractic, Osteopathy, Herbal and Naturopathy. It is a truly holistic form of therapy as it encompasses four areas of healing to bring about a balanced energy state. Dr Randolph Stone, the founder of Polarity Therapy saw the connection between these therapies and felt that lasting cure could be achieved if all aspects of the body were addressed. This is a stand alone course for personal development and is the prerequisite to the Enhanced Energy Polarity course. A basic knowledge of Anatomy and Physiology is preferred but not essential.